1920 The company was formed when Hinks, Wells and Co and William Mitchell came together at the Pedigree Works in Birmingham. 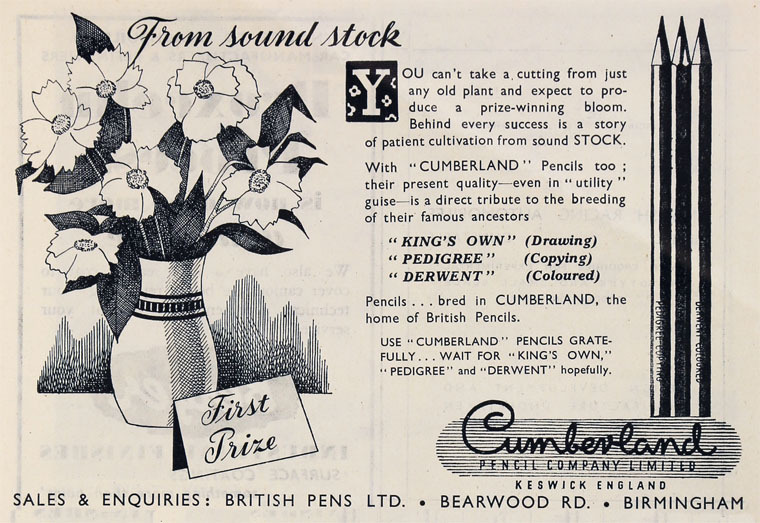 After World War II, staff from the London Jewel Co joined them and they began to produce ball point pens. 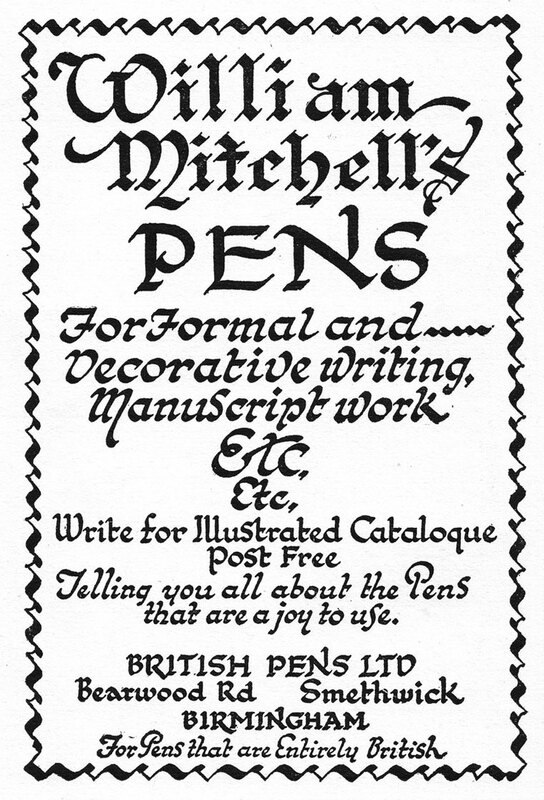 In the 1960s British Pens acquired the pen businesses of Perry and Co (Pens), John Mitchell and Joseph Gillott and Sons. 1982 Byron Head, the Managing Director of William Mitchell (sinkers) and British Pens bought the two companies from Twinlock. The company still makes pens in the West Midlands. This page was last edited on 19 February 2016, at 11:08.